AKUN.biz has two kind of user, the Free and Premium. Premium has more advantages than Free user. Below are the differences between two kind accounts of AKUN.biz. Each Free User can upgrade anytime to Premium Account. Please refer to the “Premium” page in the app to get more detail about the price and how to upgrade to Premium. We provide several payment methods, such as Paypal, or through in-app purchase on Android and iOS for Premium Upgrade. 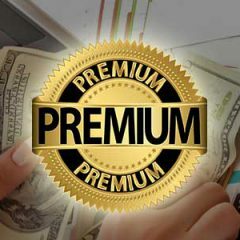 The Premium subscription price may be different for each country and for each payment method, depends on the commision that we have to pay to the payment service provider, the currency exchange, and the additional tax in each country.